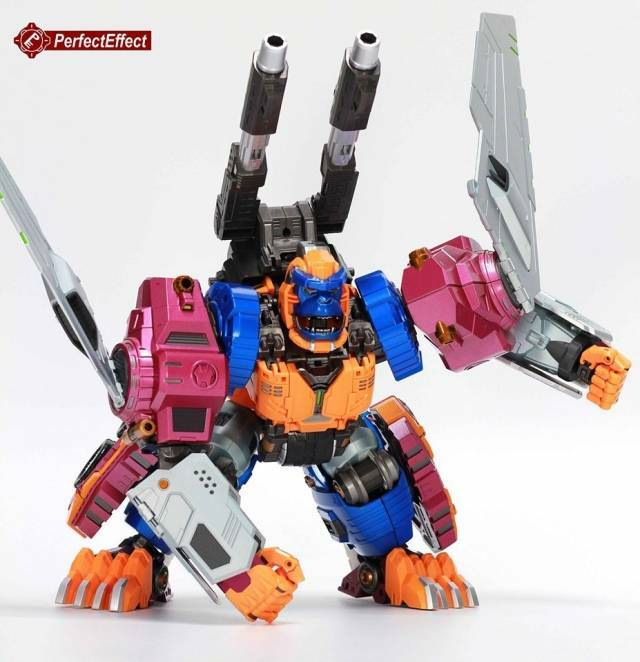 Beast Gorira by Perfect Effect stands 25CM/10" tall in robot mode and is made of PC-ABS and die-cast parts. 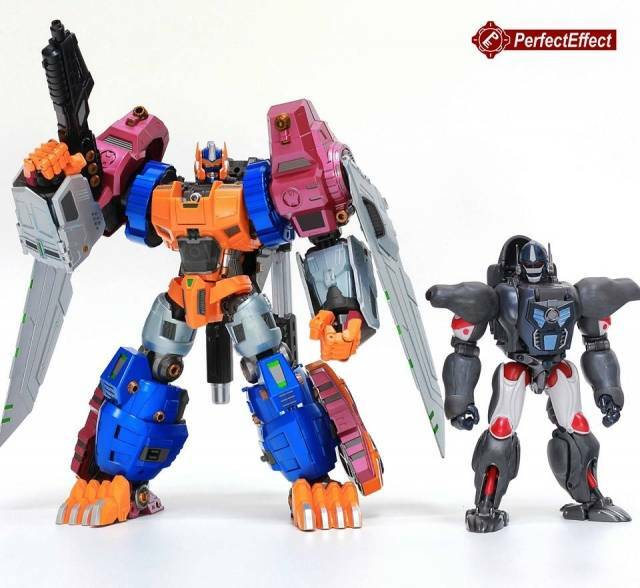 Figure transforms into four distinct modes and towers above MP-32 Masterpiece Optimus Primal (sold separately) as shown! 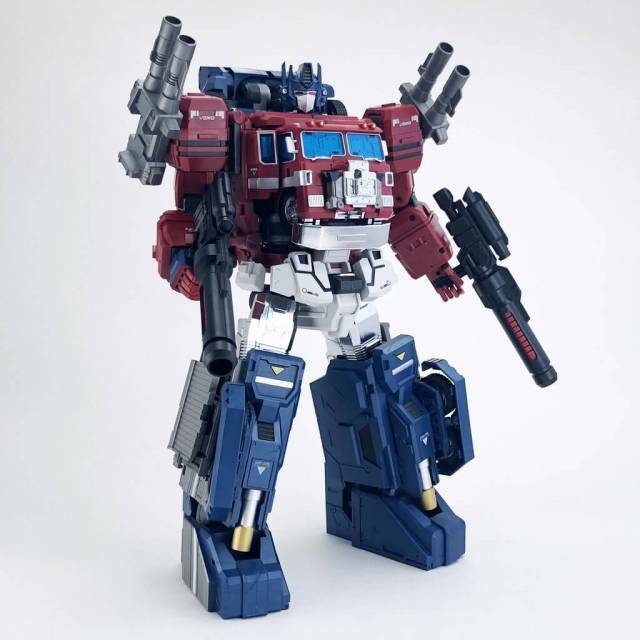 This figure is so good i don't think a better optimal optimus can be made, period. Super cool looking, like the TV show come to life. Great detail. great colors and great scale. His 'little helpers' that I got in anticipation of this re-issue, totally cool and cute. I was blown away at the articulation the figure is capable of. I was able to cross the arms of this figure for a pose and it looks fantastic. Strong joints and lots of ratchets, nothing feels loose or out of place. 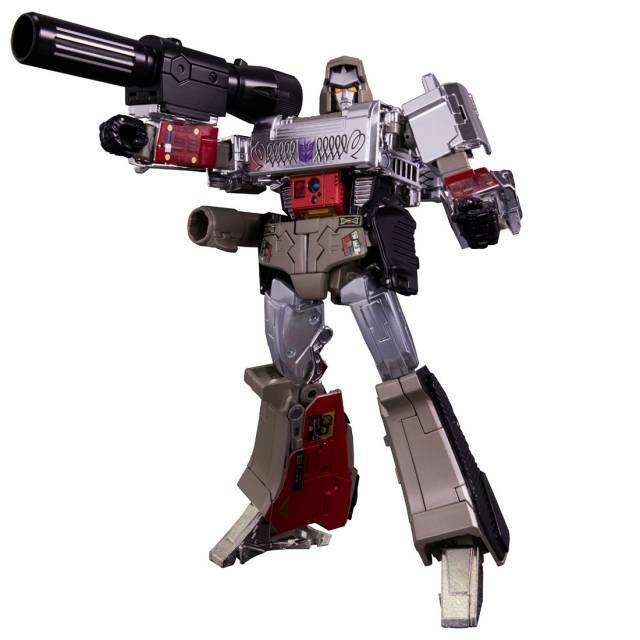 This reissue comes with a ratcheted waist joint that I heard the original did not have. I’m glad it was included because the figure benefits greatly from it. The paint and sculpt detail are spot on. Tribute to an Improvement and A testimony of their word. I wanted to love my original release of this figure. However he was floppy and the waist and gorilla chest were poorly engineered. Often leaving me extremely irritated. Then he broke! The new reissue is amazing¡ The waist is stronger and the tiny flimsy grey clip has been much improved and placed in a better location. Also. The Gorilla chest has been redesigned and the brittle tiny tabs that refused to align and stay in place are replaced by a much better working and looking set of "doors" on the chest. Paint apps are stellar again and even a couple have been added¡ Tight joints, nice weight and great overall feel to him. I'm glad I decided to replace the original with the reissue. 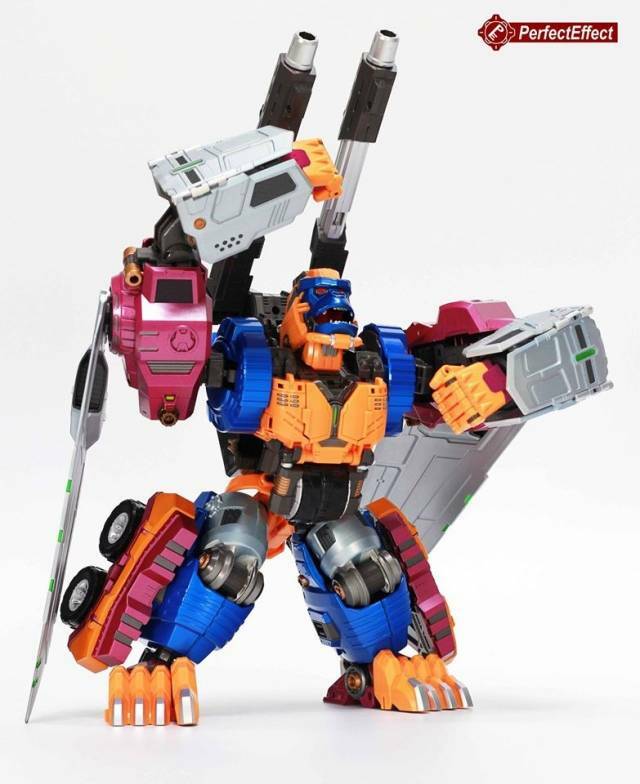 Masterpiece transformers three primal in all it glory! 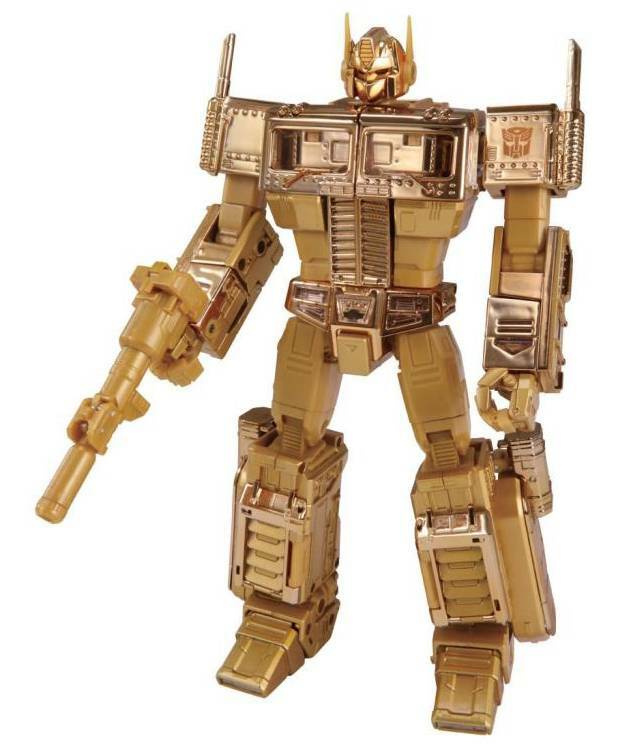 Cons: would have liked more die cast. Pros: paint apps is perfect, sculpt is beautiful, alt modes are better than original but beast being the best besides robot mod, pose ability is better than I thought it would be The scale is perfect. I'm very happy with my purchase! First off, I am a Beast Wars fan who’s old enough to have seen G1 in its original run (love G1). You don’t need to love BW to love this toy, but I am gonna admit it probably helps. The materials are interesting; the plastic struck me as thinner than I thought it would be on a toy that also has die cast parts, but this was genius. He’s huge, and could have come out a brick, but he's not. 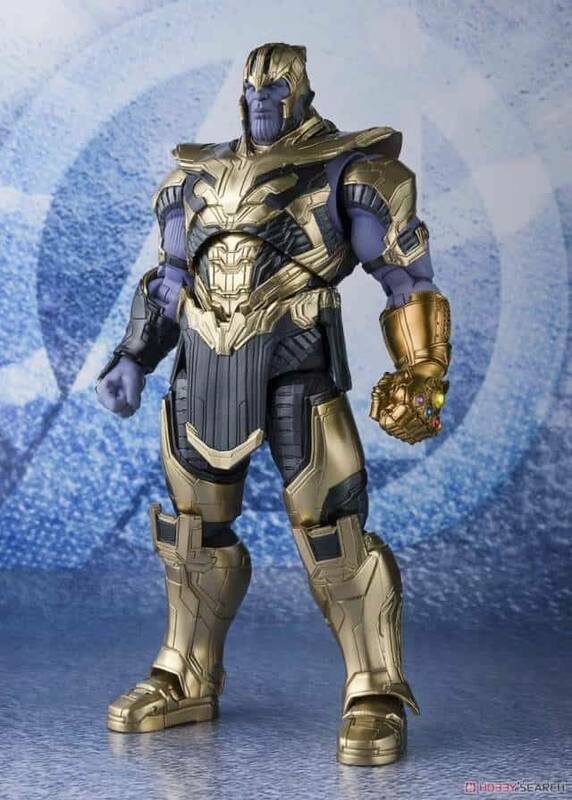 And, what's die cast are his feet, where it belongs. The thinner plastic is not disappointing and works as intended to keep the toy's weight and issues with posability in check. Ratchets in shoulders, hips and knees hold poses like a champ. Where it's friction, it holds. No floppiness, at least on my guy. Where he differs from the original is in proportions that are more humanoid than whatever was going on with the original's huge hands, overlong arms, and tiny waist. The forearm panels/shoulder pylons are smaller than the original, but the wings are bigger and more impressive with nicer details (air intakes). 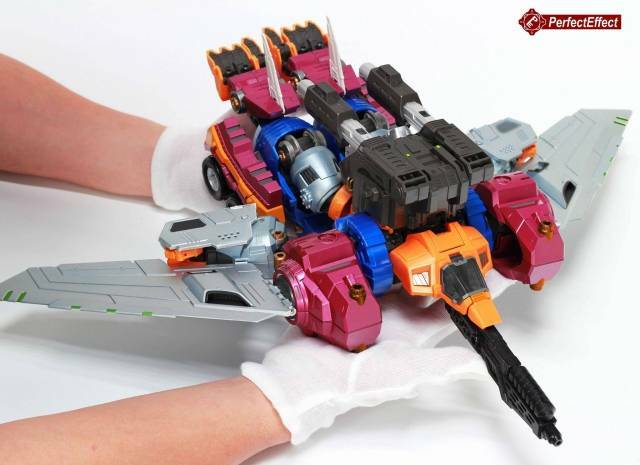 Forearm panels also lack any spring-loaded, blow-off his arms action. The shoulder cannons come over the top rather than being built-into his collar bone area in robot mode. He's got a little door in his chest in robot mode that opens to reveal a spark/matrix. There is no gorilla fur on the forearms at all (no fur implied anywhere). There are no shiny, vacuum-metalized parts—though I don’t miss it (or the way it can so often flake off over the years). Gorilla mode is a little different (sporting an actual "spare tire"), but it's fantastic. His gorilla head is movable and has a mouth that opens to reveal teeth if you want it to. The gun is black, not orange. There are no light-up gimmicks or firing missiles in this toy. 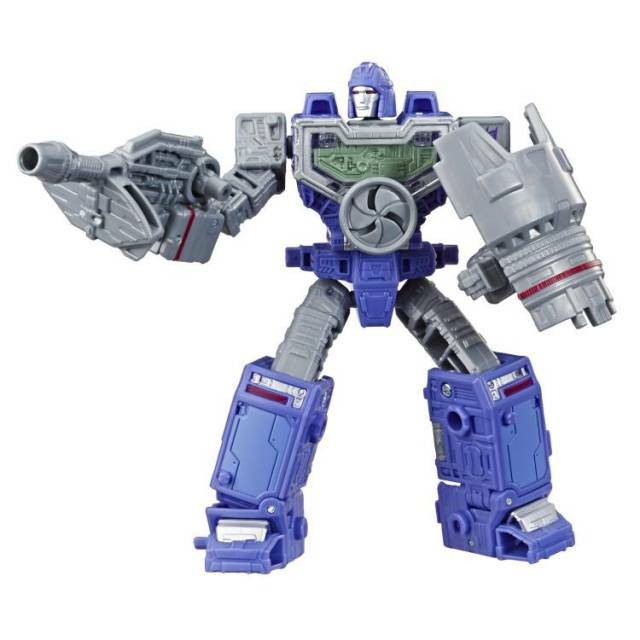 Undocumented features include: The cannons on his shoulders extend and retract (lock in either position with a little "click"). There are missile pods under doors over his wheels on both sides. 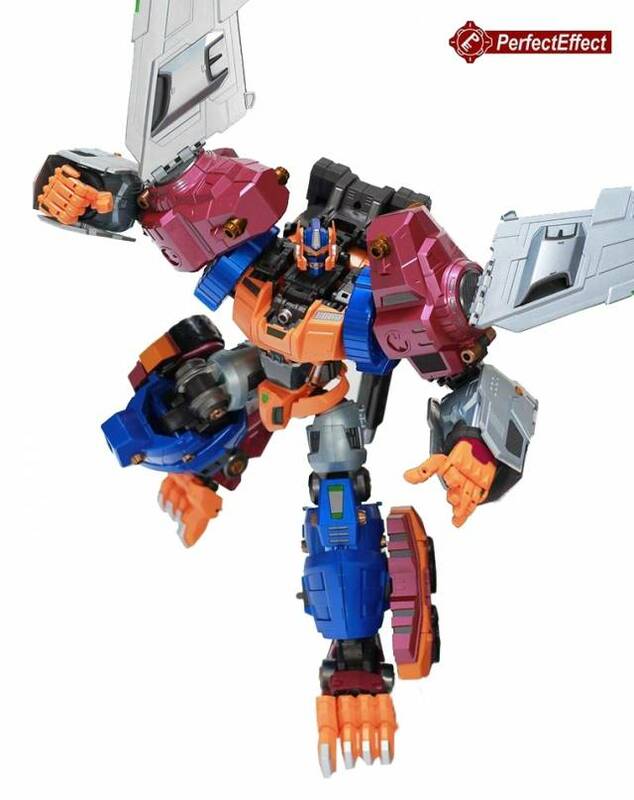 The forearm panels can be placed on his shoulders in a way similar to, but not exactly, like the original (they are 3-sided, but open to the back, not towards his head, and are much smaller in comparison). You can pose him in a flight mode that matches the show's "Superman" approach. There is an extension piece that give the nose cone a sleeker look (optional to use, really, if you prefer the old profile). 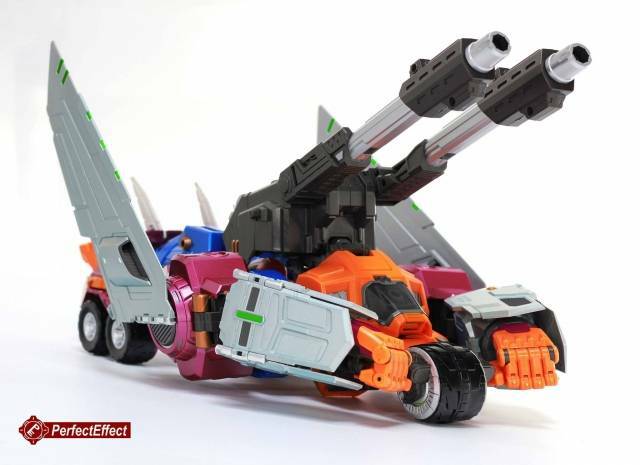 There is a tiny, tiny little rolling wheel under the gun to give you a forward landing-gear in flight mode (if you stick the gun up under there). I will also say that the directions that come with the toy are pretty horrible, but somehow passable. Bottom line: He's worth every penny and is totally fun to look at, to transform, and is just plain epic to pose. And, he cales well with the recent MP BW toys from Takara. This Gorira will make you go APE! Now first and for most I do LOVE the Beast Wars. PE took this guy to a new level, but he is not without his faults. His robot and gorilla modes are bloody amazing looking. The tank/roller and his flight mode are totally weak sauce. Does that affect if you should purchase it, HECK NO!!! BUY IT! He IS worth the money. Having him lined up next to the original toy as well his previous counter parts looks great. So just break down and get him if you liked the Beast Wars series and you will not be disappointed. Good design. I like it. However, the joints on shoulders are not strong enough due to its huge arms. Totally LOVE this figure. The build quality is amazing. 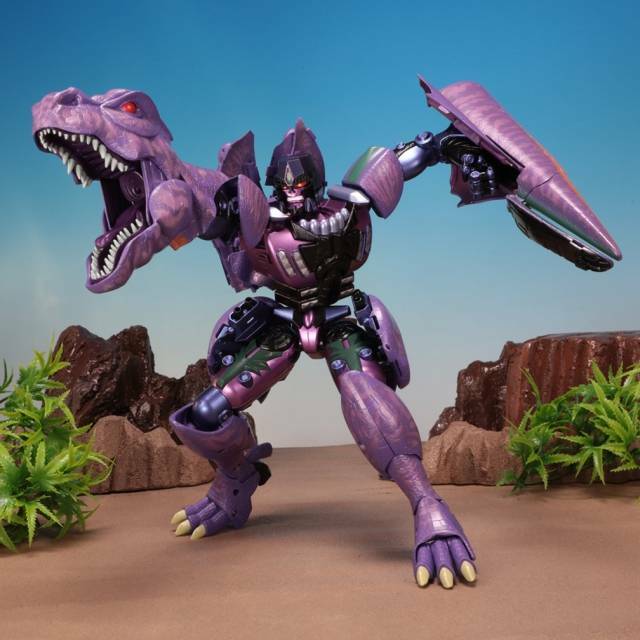 This is a MUST own for any Beast Wars Fan. Only 1 very minor gripe is that the arms guards wont attach to the upper shoulders like in the show. The vehicle modes are just as ridiculous as the original toy, but I love the changes to the robot and gorilla modes. 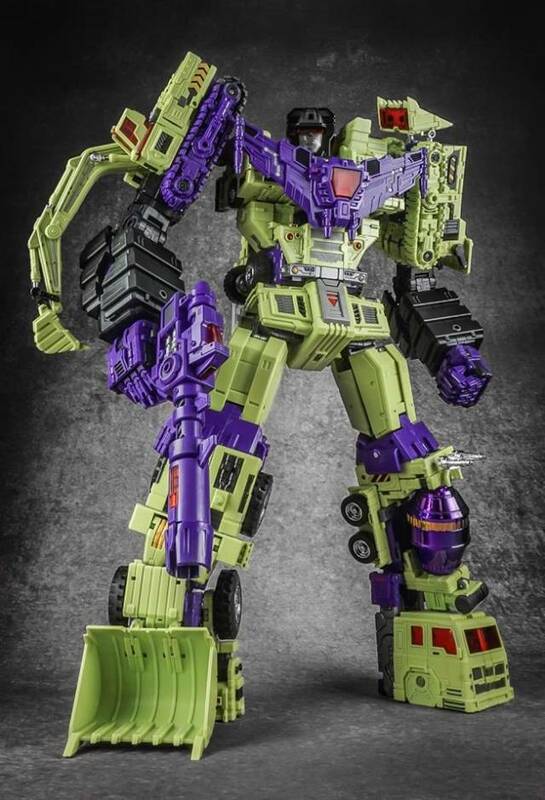 The proportions on this thing for those two modes look really great. Wonderful build quality and PE's always fab paint job. Some really nice engineering on this as well. 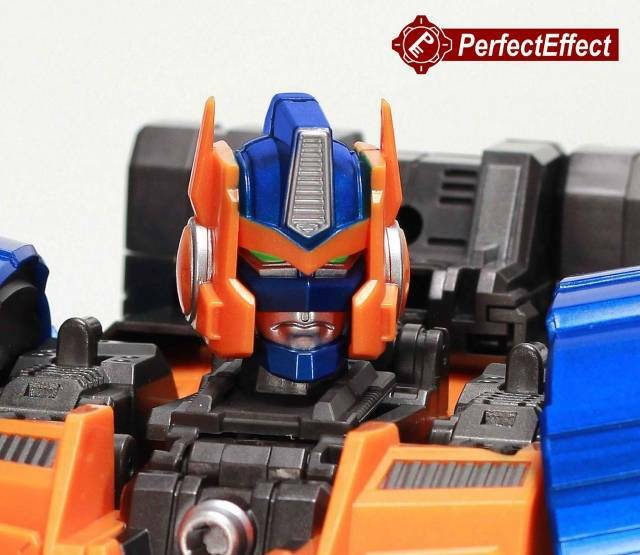 A must have for Beast Wars fans.